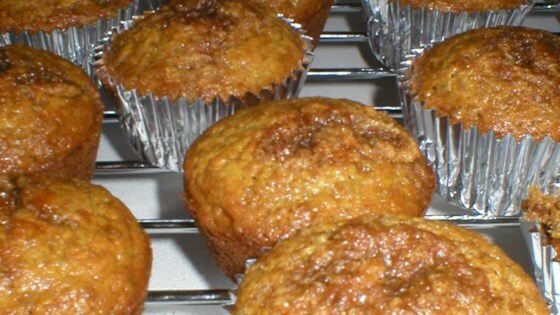 "A classic overnight bran muffin recipe. This recipe is great because batter is kept in the refrigerator and you can make muffins as needed." I made this recipe and brought muffins to my co-workers without even trying them. They were very easy to make. Definitely a keeper recipe. These muffins are moist,tender and not too sweet. Very easy and very delicious! I experimented with raisins, with honey and just plain and found all to be good. I also used wheat bran instead of flakes (much easier).